Research shows that coaching leads to a far greater transfer of skills into practice than most other professional learning activities. 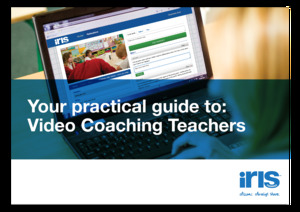 Video steps this up a gear; it helps to focus feedback, increase the quality of coaching conversations and helps to save precious time. "In my role as coach and mentor, IRIS Connect has been the most powerful tool for improving teaching and learning quickly."